With a hard aspect between the Moon and Neptune, especially if the Moon is conjunct Neptune, a person will probably be extremely sensitive to drugs. And if Neptune is in Leo, any drugs being taken, such as diuretics, produce a weakened heart condition. Since drugs are responsible for flushing potassium out of the body, a deficiency of that mineral may occur, putting further strain on the heart. Other potassium-related problems may come about. If Neptune is in Virgo or Scorpio, the intestinal flora and bacteria may be lacking, consequently lowering the potassium levels. Moreover, there is some speculation that if Mars is in hard aspect, too, a deficiency of potassium may result in leukemia. Disorders of the female organs, of course, are always suspect when the Moon is in hard aspect. And female problems of an infectious nature— specifically, vaginitis—may occur when the Moon is in hard aspect to Neptune. 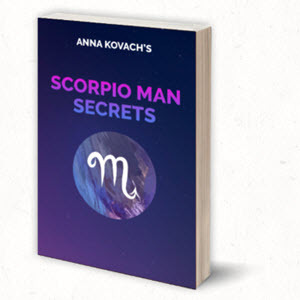 Especially if either the Moon or Neptune is in Scorpio, there may be itching, inflammation or discharge in the genital area, caused by a deprivation of riboflavin. With a hard aspect from Saturn and/or Pluto there may also be ailments of the breast, stomach, uterus and urinary tract, particularly when either the Moon or Neptune is in Cancer or Scorpio. Since Neptune rules pantothenic acid, there may be insufficient amounts of that vitamin and resultant diseases. Particularly with an accompanying hard aspect from Saturn allergies may crop up. A deficiency of pantothenic acid can also cause cholesterol to turn into hormones, affecting the pituitary gland. And with either the Moon or Neptune in Cancer or Pisces there can be extrasensitivity to environmental surroundings: an individual with a hard aspect between the Moon and Neptune may not be able to take stress as well as other people and may be more prone to stress-related problems. There is also some speculation that a hard aspect between the Moon and Neptune may cause cancer of the lymph glands, since Neptune, along with Pisces, rules this part of the body. Finally, one should avoid surgery when the Moon is in hard aspect to Neptune.